Vendio recently added over 70 new templates to the new Vendio Platform. 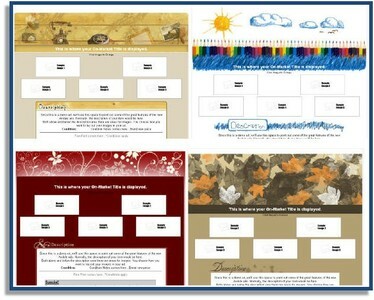 These templates include some seasonal templates for Back to School and Halloween and for the fall season. In addition to the seasonal templates, we’ve added many general templates that can spruce up your listings. You can find the new eBay templates by logging into your account and going to eBay Templates>New and Most Popular. So if you needed some motivation to spruce up your listings, check out the new Vendio Templates!! This entry was posted on Monday, August 31st, 2009 at 6:29 am	and is filed under Vendio Platform. You can follow any responses to this entry through the RSS 2.0 feed. Both comments and pings are currently closed.